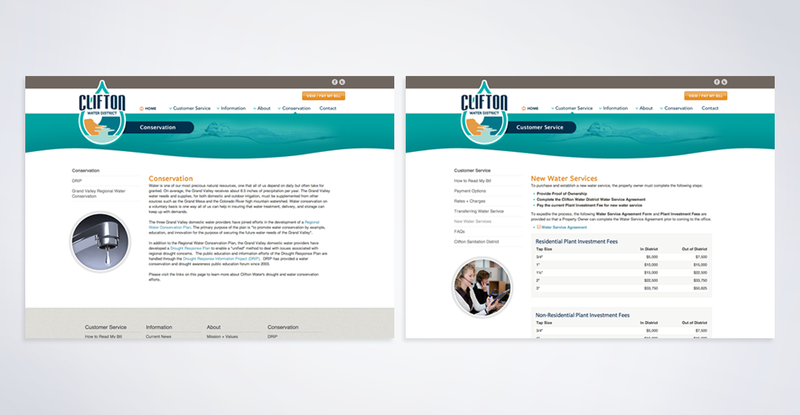 Clifton Water District’s site is a fully customized design, built from the ground up and integrated with a very easy-to-use CMS (Content Management System). 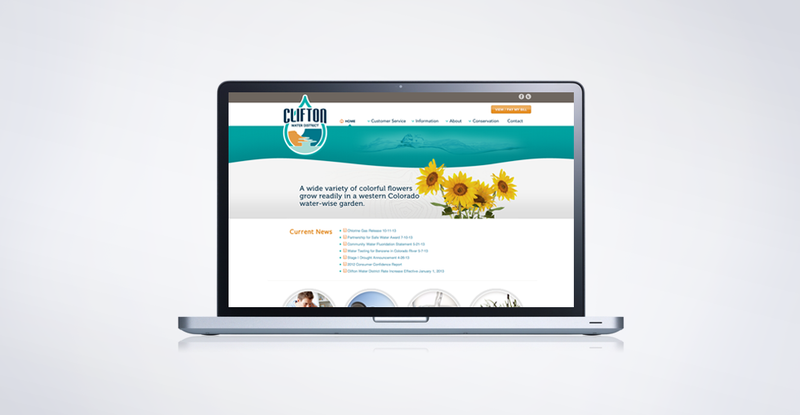 Their number one goal was to streamline their existing site’s organization and navigation with a strong emphasis on overall end-usability. 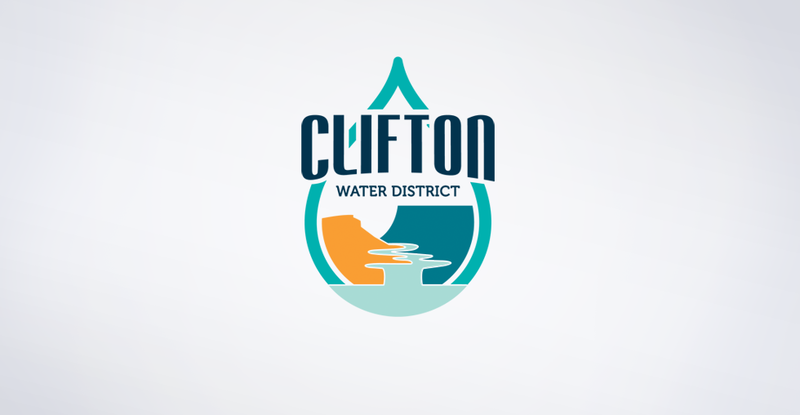 We also updating their logo; utilizing a modern typeface and simplifying their iconic geographical + water element. The overall mark was not meant to be a total rebrand, just a refresh to their existing look, which allowed the new site’s look and feel to follow suite.